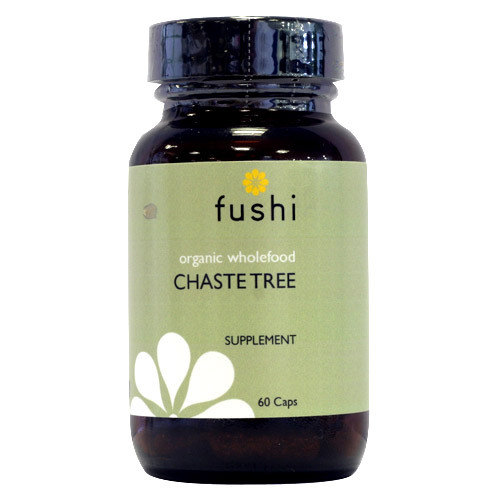 Chaste Tree, also known as Agnus Castus, is a bittersweet, slightly astringent herb that helps to support the female hormonal function and the menstrual cycle. 100% pure, biodynamically grown, organic Chaste Tree (Vitex Agnus-Castus), veg cellulose capsule. 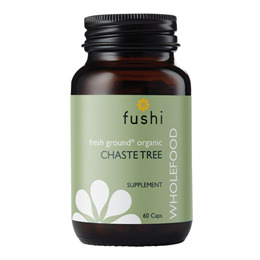 Below are reviews of Fushi Organic Chaste Tree - Agnus Castus - 60 Vegicaps by bodykind customers. If you have tried this product we'd love to hear what you think so please leave a review. My second purchase from Bodykind its fine on my stomach and its good for monthly cycles. I started taking this after reading lots about agnus cactus as a treatment for lowered progesterone levels in perimenopause and how these can cause breast pain and cysts, which I was suffering from terribly. Within three months all pain was gone and there was a noticeable improvement even in the first month. After five months I took a month off... and the pain and swelling returned. Needless to say I am now a convert to this herb/product!